We Want to Help You Smile With Confidence! It can be difficult to live every day to the fullest when you’re too preoccupied with crooked or discolored teeth. 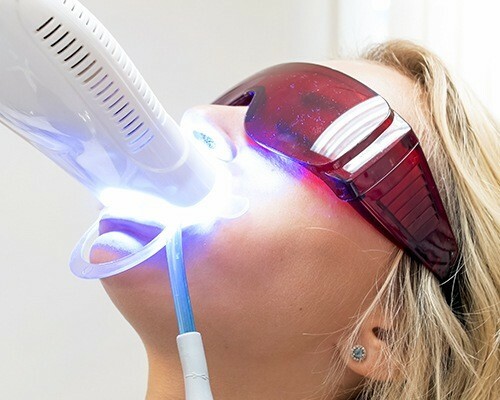 Thanks to advances in the dental field, patients can now achieve the beautiful and self-assured appearance they deserve with cosmetic treatment. The Family Dental Center of East Texas offers a full menu of different services so that you can choose the option that fits your goals and priorities best. Ready to schedule a one-on-one consultation? Contact us today in Center, TX. Why Choose Family Dental Center for Cosmetic Dentistry? Porcelain veneers are crafted from the same high-quality materials as all-ceramic dental crowns, but their purpose is a little different. Instead of covering the entire tooth, their wafer-thin design fits into place over just the front surfaces. With them, patients can say goodbye to several cosmetic flaws all at once instead of undergoing multiple procedures! The durable structure of your new veneer will even resist staining more successfully than natural enamel, which means they’ll stay reliably bright for many years at a time. Thankfully, our patients now have more material options for dental crowns, inlays, and onlays than just noticeable silver or gold! Our doctors recommend all-ceramic restorations whenever possible for a seamlessly attractive result that is still durable and functional. This porcelain material even reflects light in the same way as your original enamel. Better yet, its biocompatible nature is safe and comfortable within the mouth – there’s no need to worry about excessive sensitivity or allergies. Sometimes, even the smallest smile imperfections can loom large in photographs or the bathroom mirror. 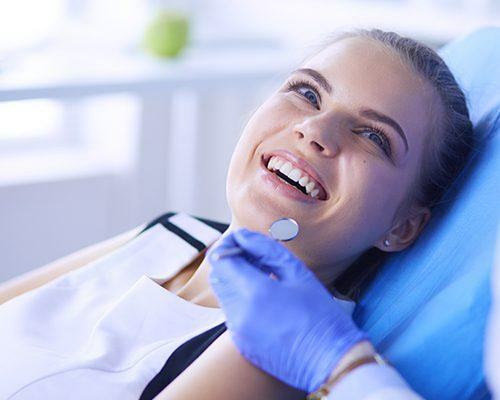 If you’re finally ready to say goodbye to a pesky crack in the enamel or a thin, crooked gap between teeth, consider cosmetic bonding here in Center, TX. This service only takes a single appointment of your time in most cases, during which one of our doctors will apply tooth-colored composite resin to the requested tooth and sculpt it into a subtle, pleasing addition that hides the offending area from view. 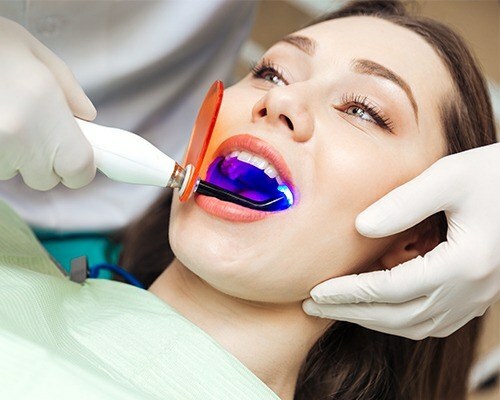 Over the years, even healthy teeth can become dull or yellow in color. 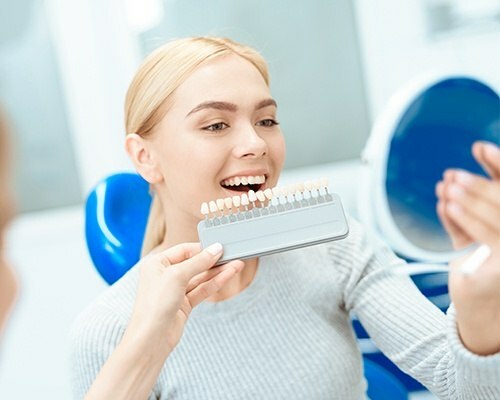 If you’d like to regain a brighter smile, professional teeth whitening can create stunning improvements in record time, especially when compared to over the counter products from the local pharmacy. Dr. Youngblood and Dr. Martinez offer two options: in-office whitening for fast, dramatic results in one simple appointment and custom-made kits that can be used over a more flexible timeframe and from the familiar comfort of home.